Despite reports that the government will propose to allocate an area in the Guangzhou-Shenzhen-Hong Kong Express Rail Link station where mainland law will be enforced by mainland officials, a top government advisor has said such a scheme would violate the Basic Law. 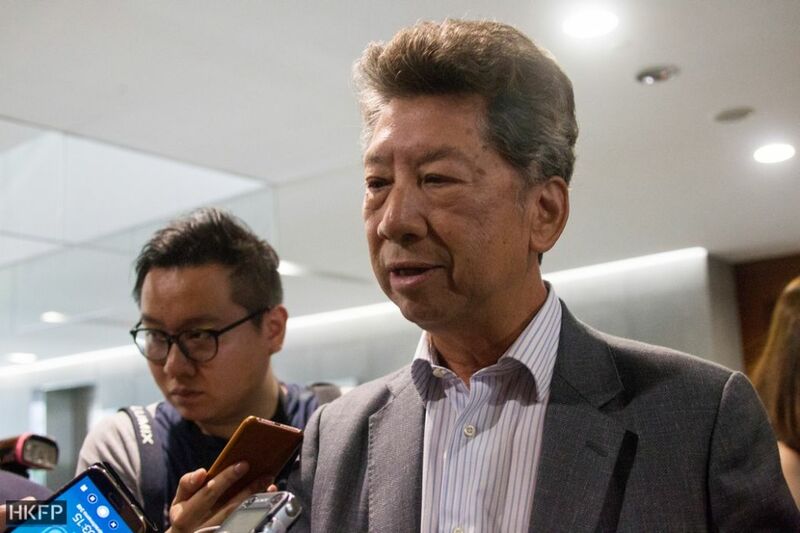 Executive Councillor Ronny Tong told a Commercial Radio programme that the Basic Law did not allow for the application of mainland law in the SAR, apart from the few named exceptions. The government has repeatedly insisted that the rail link must adopt a joint checkpoint arrangement, or its effectiveness will be diminished as passengers would have to disembark in Shenzhen for border checks. The line is expected to be operational in the third quarter of next year. Photo: Carrie Lam, via Facebook. The government is reportedly proposing to lease an area within the West Kowloon Terminus to mainland authorities. In this area, mainland laws will be in effect, and they will be implemented by mainland officers. It would be a reversal of the Shenzhen Bay control point, where Shenzhen leased a piece of land to Hong Kong for law enforcement. 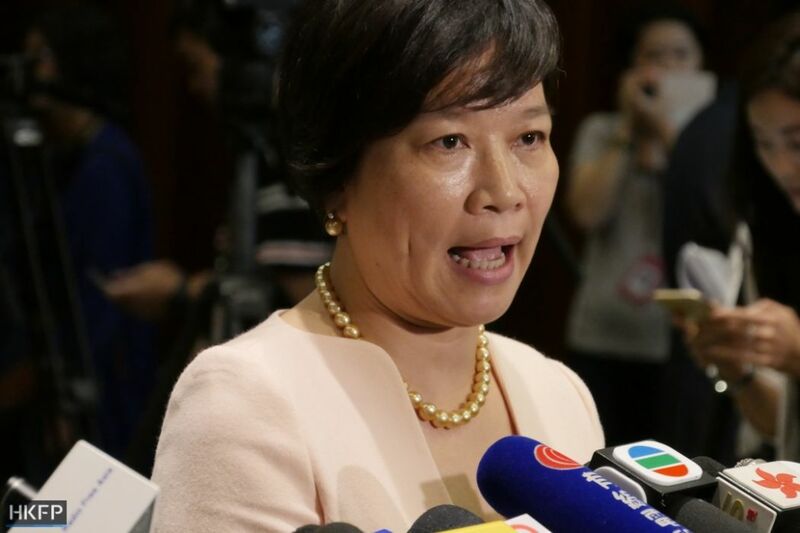 But Tong said on a Commercial Radio programme that it was not within the power of the government to implement the proposal, according to the Basic Law. 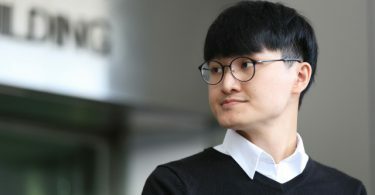 “It is stated very clearly in Article 18 that mainland laws cannot be implemented on Hong Kong land… unless you put [the laws] in Annex III,” he said, adding that it would be even more worrisome if mainland laws become Hong Kong laws through Annex III. “If Beijing wants to limit ‘One Country, Two Systems,’ there is no need to use the West Kowloon [Terminus] as an excuse – it can set a limit anytime, this is the political reality,” he added. He said the National People’s Congress has the right to redefine borders for Hong Kong. 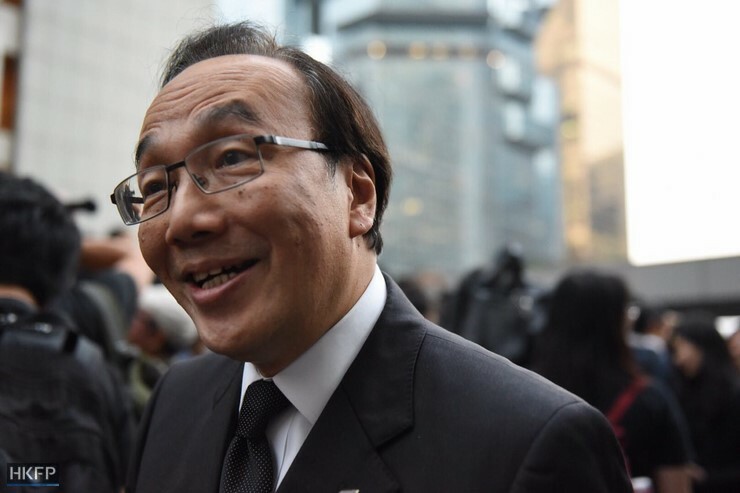 Civic Party leader Alvin Yeung also said there is no proposal that can achieve a joint checkpoint arrangement and be in accordance with the Basic Law at the same time. He said Tong’s suggestion of giving land to Shenzhen would be a “worrying” possibility akin to “opening a free door” in West Kowloon. Photomontage of Express Rail Link West Kowloon Terminus. Photo: Andrew Bromberg at Aedas/Wikicommons. 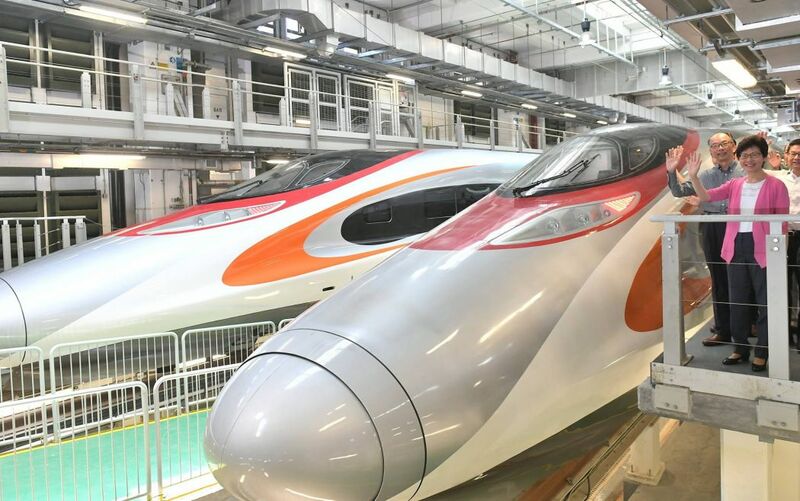 The proposal will reportedly be announced next Tuesday and will give jurisdiction in the train cabins to mainland authorities, even within Hong Kong. Former lawmaker Alan Leong said on a RTHK programme that he was concerned about a “moving border” being extended into Hong Kong, causing Hong Kong people to lose trust in the safeguard provided by the Article 18 of the Basic Law, Hong Kong’s de facto constitution. It stipulates that national laws shall not be applied in Hong Kong, except for a few stated in Annex III relating to certain circumstances involving national issues. A listener called in to the programme and asked whether he would violate mainland laws by protesting on the train after it has entered Hong Kong. “Say I see Fanling or Shatin on the train, and I speak loudly about June 4 and ‘down with the Communist Party,’ will I be arrested by Chinese police [and taken] back to the mainland for subversion of state power?” he said. Priscilla Leung. Photo: HKFP/Kris Cheng. But Priscilla Leung said the public should not speak of political issues on the train. “If we have clear [rules], the public will know not to do these things on the train. Why do they have to do these things? 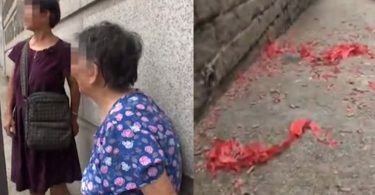 It could cause a lot of trouble by provoking [China] – you can do them in Hong Kong after clearing immigration,” she said.